The North Lotts and Grand Canal Docks are of the Dublin Docklands was designated as a Strategic Development Zone (SDZ) in December 2012 and the Docklands SDZ planning scheme was approved by An Bord Pleanála in May 2014. The SDZ plan divides the Docklands into 20 development blocks. NAMA originally held an interest in 15 of the 20 blocks and developed detailed strategies for each of the 15 blocks. NAMA's interest related to 16.74 hectares (41.25 acres) - 75% of the 22 hectares of developable land in the Dublin Docklands SDZ area. 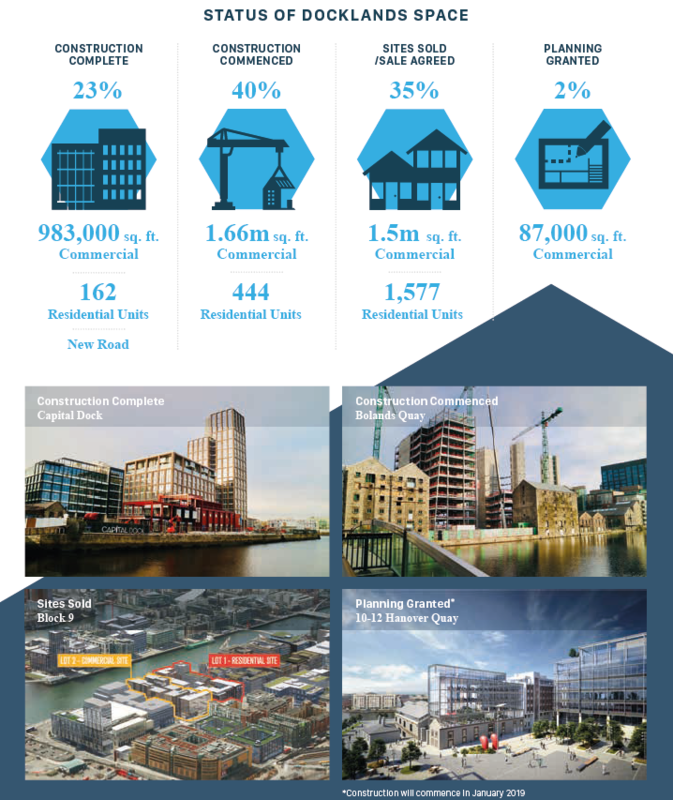 NAMA has made major progress in terms of facilitating commercial and residential development in the Dublin Docklands SDZ. It has brought coherence, direction and drive to the regeneration of the area, transforming a kilometre of derelict waterfront sites on the North Docks. When complete, the Dublin Docklands area will provide 4.2m sq. ft. of commercial space and 2,200 residential units.